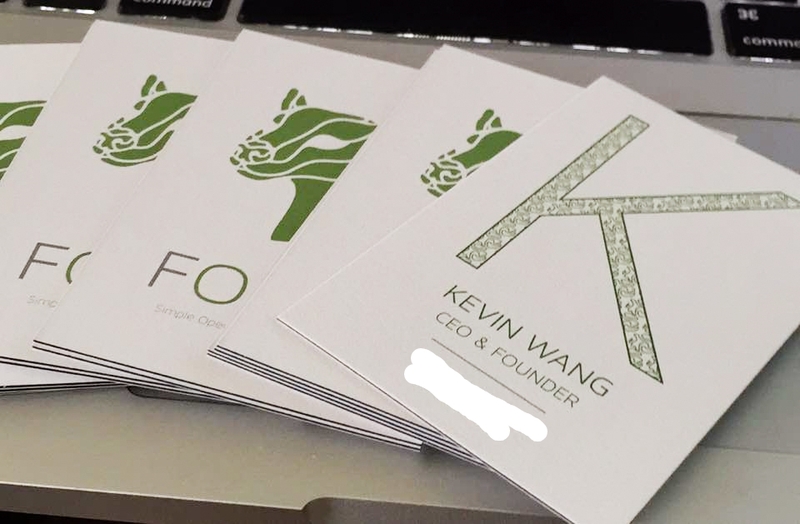 When Kevin Wang, CEO and founder of FOSSA, a new open source compliance software, approached me for a commission, I was excited for the opportunity to work on the evolving branding and identity of FOSSA, as well as to work in print media. 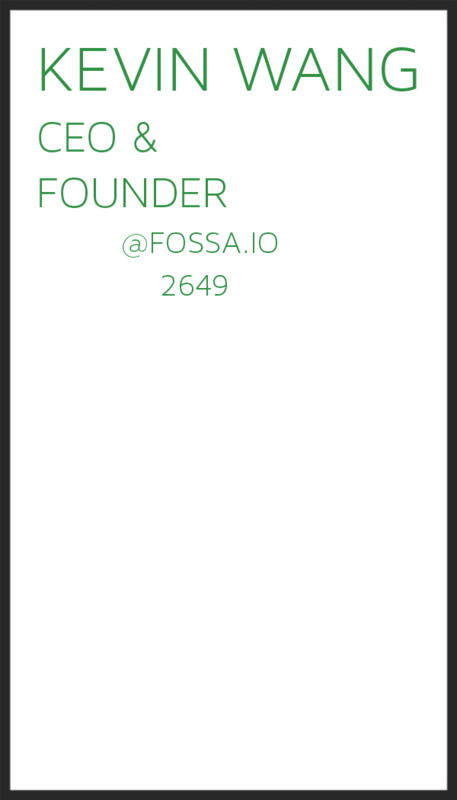 Considering that FOSSA's brand wasn't fully realized, this presented a unique challenge. 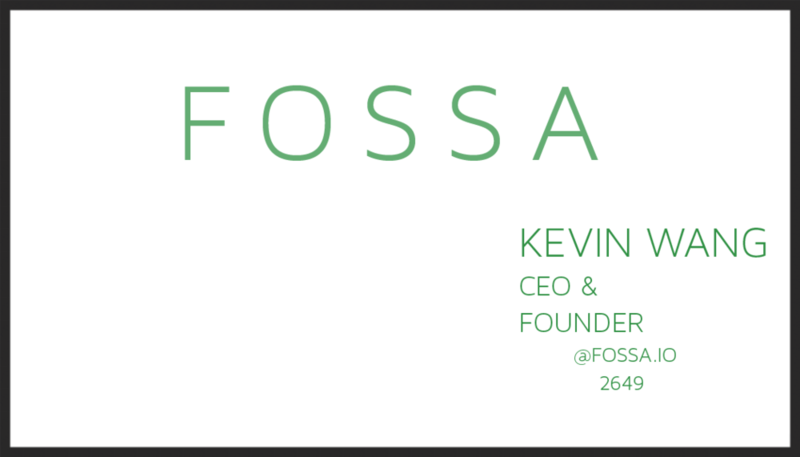 In designing business cards for FOSSA, I was making considerations and refinements to FOSSA's identity as well as the personalized elements for Kevin. Such elements included typographical for the logotype, such as typeface selection and a tagline, along with stylistic considerations, such custom patterns. Initially, Kevin wasn't very sure of what he wanted. He had some elements of FOSSA's existing brand identity (colors and FOSSA head), but aesthetically, he wasn't sure and didn't have concepts on hand. 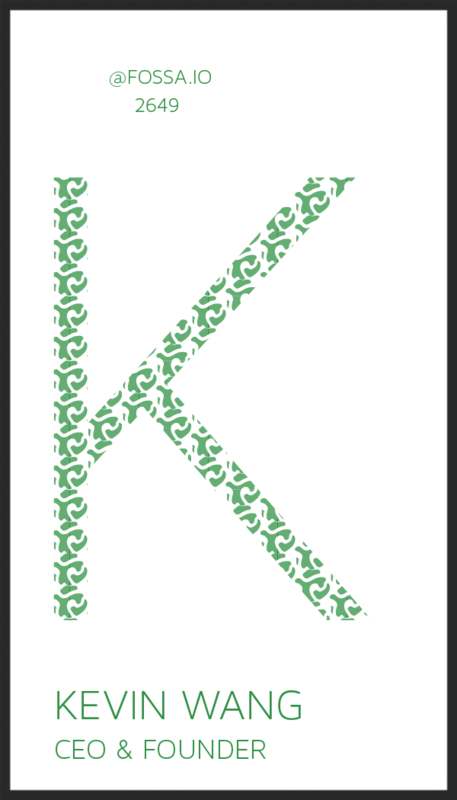 Kevin did have in mind contexts to which these cards would be used: business purposes and sharing contacts. I decided to start my process off by creating a varied mood board. This consist of inspiration from various works, dribbbles, and google searches that I compiled in tabs. Following that, I went through a process of thumbnailing that reflected my mood board and ideas that I had. After this point, I went through a review process with Kevin to see if any of my concepts met some of what he had in mind, as well as adjusting my creative vision and mood board to fit his needs. Initial thumbnails and post review client feedback. After reviewing my thumbnails and mood board with Kevin, I was able to get a sense of what possible ideas could work or be further explored. From there, I went through 3 rounds of iterations, adjusting as per the client's feedback. With each round, I would have a feedback session with the client and adjust accordingly in the next round. At this point, Kevin was more sure of the direction he wanted the project to go and was interested in having more brand emphasis on the front facing side of the card, as well as exploring a dark card and layout tweaks to the contact side.